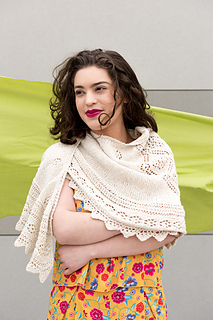 This shawl begins with a variation on a garter tab cast-on, then the Body of the shawl is formed by increasing 6 sts on every right-side row. 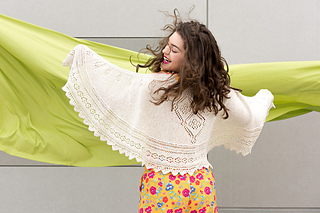 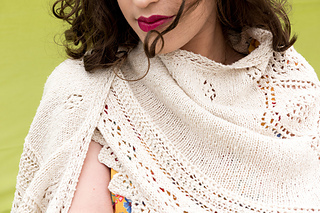 The wide lace edging is worked sideways, attaching to the shawl Body as you go. 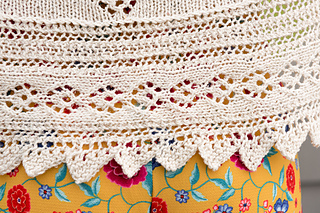 The lace pattern for the Body is presented in chart form only. 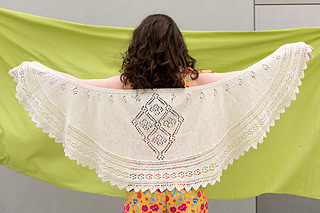 You may work the edging from text or chart.